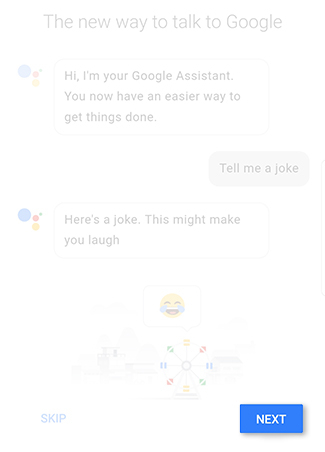 Meet Google Assistant, your new best buddy. Ask Google Assistant questions about the weather and tell it to find out who won the championship game last night. It’s OK if you get a little demanding, that’s what it’s here for. It's your own personal assistant, always ready to lend a helping hand. 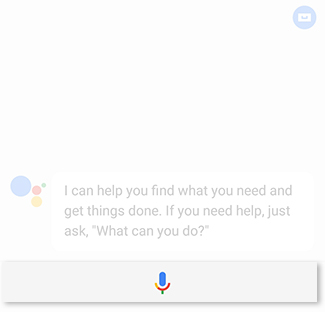 1 To open the Google Assistant, touch and hold the Home button. 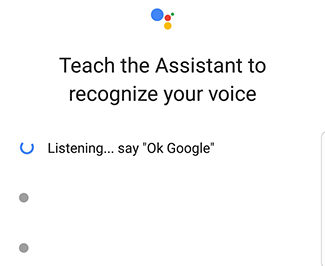 4 To teach Google Assistant to recognize your voice and complete the set up, say "Ok Google" three times. 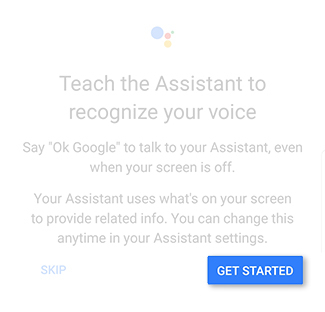 2 To interact with Google Assistant, touch the Speak icon. And then ask, "What can you do?" to find out what it can do. 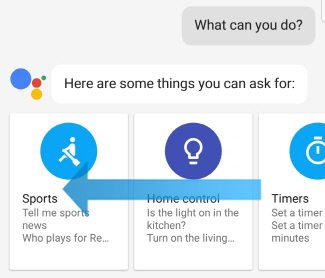 3 Swipe to the left to see the list of things Google Assistant can help with.